← Previous Previous post: NEWS: Ibanez launches 12-string RG! I imagine they're Jerry's actual stage guitars – if they were producing uber-accurate replicas, I'm sure we'd have heard about it. 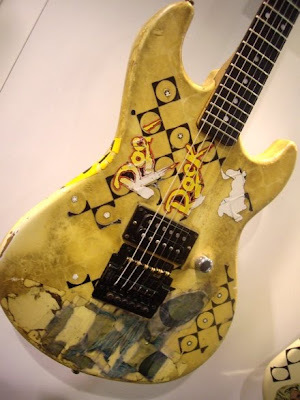 Plus, that doesn't really seem to be G&L's bag – seems to me that high-detail replicas of famous guitars are mostly done by the biggest companies as publicity pieces as much as real merchandise. 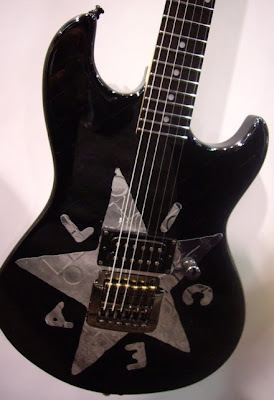 That said, the Rampages are pretty righteous axes – I only wish they had more pickups! I've always wanted to try a Kahler-loaded axe, and the Rampage is a neat shape that evokes the Strat and Les Paul at the same time. I've been getting into AIC recently – they're quite an awesome band. I've been into bright guitar sounds for so long (Tele through AC30TB, anyone? ), I'd forgotten that growly guitar sounds are cool, too. 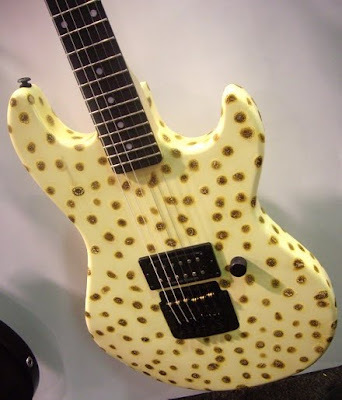 Yes, the guitars look really nice, It would be cool if I will have a chance to try one of them! 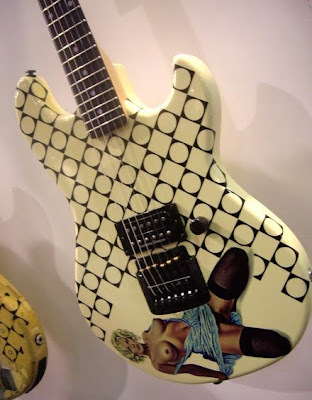 I like the most the guitar shown in the 5th photo. 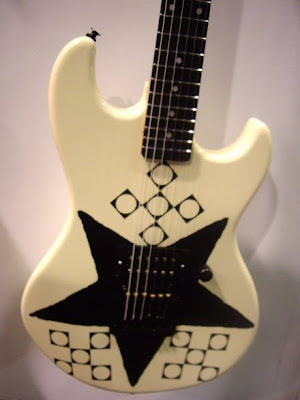 Guitar number five is jerry's first guitar, I mean its actually his guitar. He let them borrow the guitar for the show. 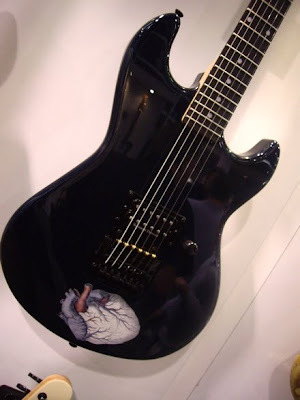 Very cool guitars! Thanks for the photos! 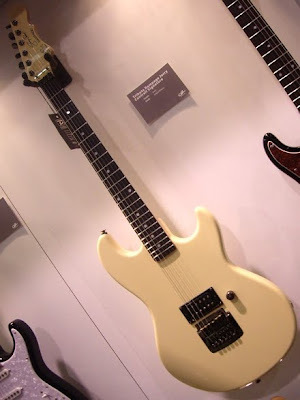 It was awesome seeing all of these killer axes in person at NAMM last weekend, couldn't get anough of the G&L gear and especially the Cantrell model. Thanks for posting your great pics!